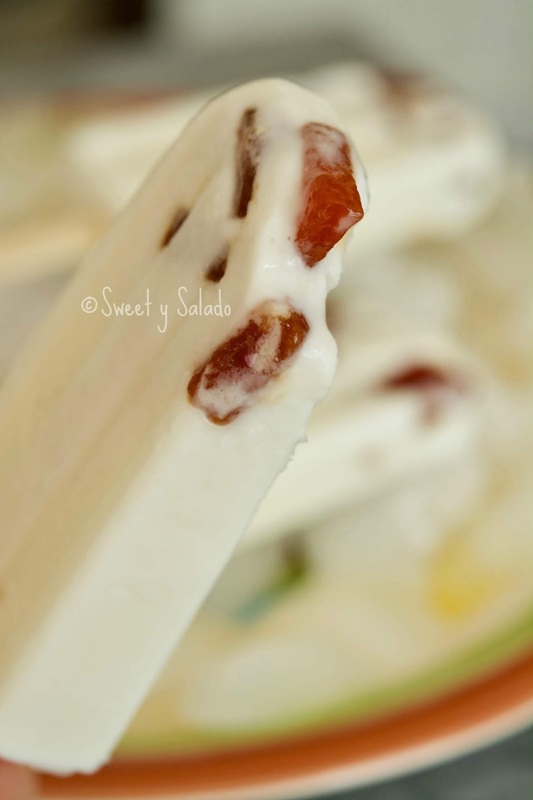 Of all the recipes that I have posted on the blog since I started it more than five years ago, this recipe for coconut popsicles is one of the ones that reminds me most about my childhood. Not so much because of the guava paste flavor that makes them so special but mainly because they remind me a lot of my grandmother. 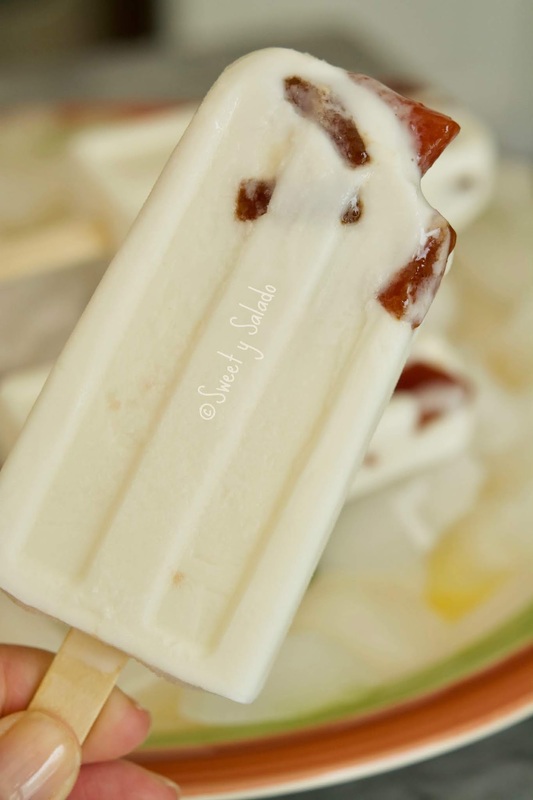 When I was a kid my grandmother used to live in a house that sits right across an all girls school and since she was pretty clever, she decided to make popsicles and sell them when school was out. And since Medellín can get pretty toasty at times, getting out of school in the middle of the afternoon and stopping to buy a delicious popsicle from doña Julia, was the best thing ever. The flavors she used to make most were blackberry, passion fruit and coconut with guava paste, which is today’s recipe. I’m pretty sure she only made them with regular whole milk but I prefer to make them with good quality coconut milk to heighten their flavor. 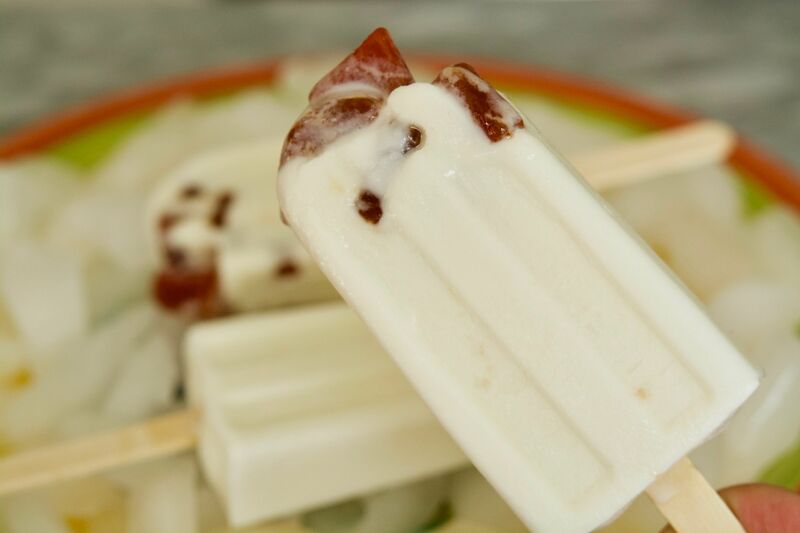 However, she did add grated coconut (because they are coconut popsicles after all) but I don’t do it because one or two people here at home don’t like the texture of coconut flakes. Also, every now and then my grandmother used to add a pinch of cinnamon to give them a different flavor, so if you want to do it as well, you can. In a blender, blend the coconut milk, half and half, granulated sugar and vanilla extract. Set aside. 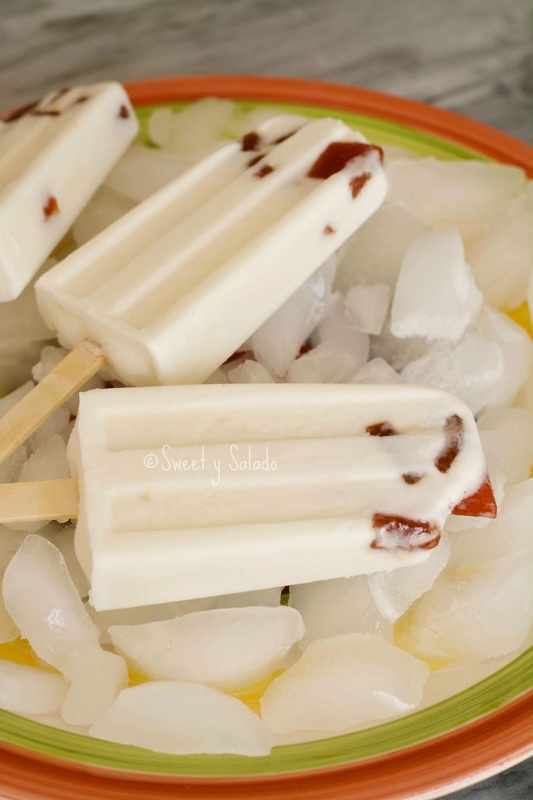 Add pieces of guava paste into popsicle molds (I add about 5-6) and then pour in the coconut milk mixture. Freeze for at least 4 hours or until they're completely solid.